Information ethics or infoethics has been defined by the Online Dictionary of Library and Information Science as "the branch of ethics that focuses on the relationship between the creation, organization, dissemination, and use of information, and the ethical standards and moral codes governing human conduct in society." As students, you spend a lot of time reading and learning about others' ideas, theories, and research. When it's time to write about and expand on the principles and ideas you have studied, it is very important to remember that you are contributing to the scholarly conversation around a topic, and that you must behave ethically by giving credit to those whose ideas, words or works you use. The SPU Research, Reading, & Writing Studio serves students "seeking to read, write, and research better." Get help with any part of the writing process by stopping by for a drop-in consultation. 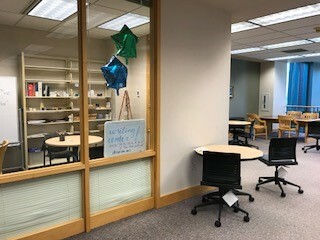 The Studio is located on the main level of Ames Library.